New Digital Scope From Dental Focus that works off SOPRO SOPIX software. Ubicam/Ubipack is a smart and user-friendly USB port camera that connects directly to your computer and SOPIX software. The Ubicam/Ubipack provides image quality that is far beyond that of its competitors. Included with the Ubipack is a MedRX Ear Scope with working channel. The Ubicam is also compatible with Storz and Olympus scopes. The Portable LED Light Source is 6.5” x 3.5” x 1” and allows you to easily move for simple and convenient client education. Clients can see real time images on your laptop and you can email clients images and video clips. 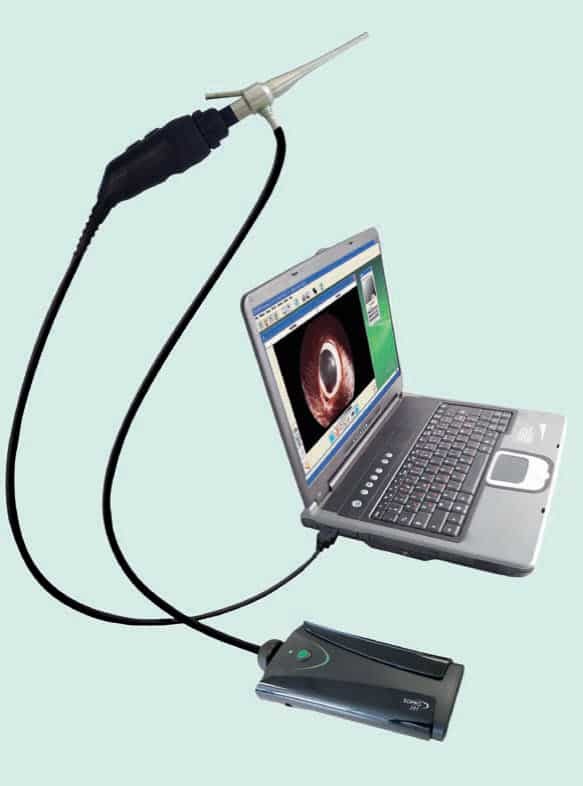 The user-friendly SOPRO Imaging Software can be networked throughout the hospital. The Ubicam/Ubipack’s versatility and compact size make it easy to fit your needs and surroundings in your daily practice. Ulyss multi-view sinuscope is the unique autoclavable telescope which allows vizualization of the entire nasal anatomy, including the paranasal sinus spaces. A full diagnosis can be made with the use of only one sinuscope! Ulyss is the perfect solution for surgeries that usually require the use of one or more sinuscopes. The controlled and gradual variation of direction of view facilitates the adaptation of the surgeon to different viewing angles. This allows surgeries such as maxillary sinus mucoceles, balloon sinusplasty, anterior ethmoidectomy and radical sphenoidectomy. The 340° axial rotation associated to the 10° to 100° variable direction of view allows a complete visualization of endo-nasal cavity during diagnosis, procedure and verification of surgery with perfect ergonomics.